New Delhi: India’s domestic airlines, which had at least $2 billion (around Rs9,260 crore today) in losses in the last fiscal year, say they are not in a position to abide by new policy directives, including penalties for flight delays and a new ground-handling policy that is supposed to be implemented at key airports on 31 January. 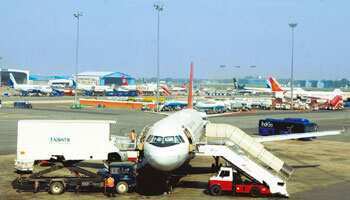 The carriers plan to make their views known to the aviation and airport regulatory authorities in the coming fortnight. “This is not the time to experiment. There is a small swing in passenger traffic and the airlines are slowly trying to recover. But it would be at least six-eight months before a recovery can happen," said the chief executive officer of an airline, who asked not to be named because of the regulatory issues involved. The lobby group Federation of Indian Airlines, together with senior airline representatives, is expected to make a presentation to the Airports Economic Regulatory Authority on 11 December on the impact of the ground-handling policy, which they say will increase costs. The policy mandates that airlines outsource ground handling to private operators. Implementation has been delayed twice since last year after airline opposition. The comments will be compiled and sent for approval to the cabinet committee on security, which is likely to meet before 31 December, the implementation date for the policy. Penalties for delays in flights may not be implemented, said another official, who too asked not to be named. Airlines say that delays are often caused by poor airport infrastructure, which is not under their control. “Delays in India are no worse than over here," said a London-based aviation analyst. “In fact, flying times in and out of Heathrow have been lengthened in recent years to allow for the inevitable delays in taxiing, or circling due to congestion in the air or on the ground. Unfortunately, Mumbai and New Delhi are afflicted by the same problems, even though they are only at around 50% of the capacity of Heathrow."